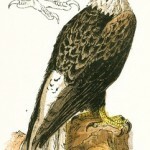 A growing collection of free eagle images and illustrations. 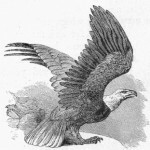 This vintage images of bald eagles, eagle nests, eagle heads and just about everything else eagle-related is free for downloading to use in your next creative project. Here and there this category might include pictures of hawks and other birds of prey that have been mistakenly identified as eagles. But, those birds that we know are not eagles have been included in the birds of prey section. 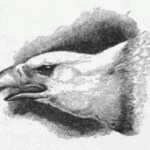 Public domain bald eagle drawing by Charles Livingston Bull. Part of a larger pen and ink style drawing from a book of fables. 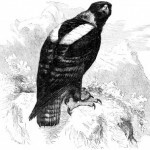 Vintage eagle drawing of a Polyborus Braziliensis or Brazilian Crested Eagle. Full-color book plate that was most likely hand-painted almost 200 years ago. 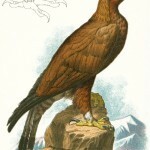 Vintage golden eagle illustration from 1878. Part of a wonderful natural history book. 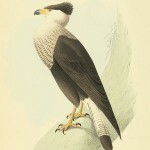 Full-color drawing of a proud and stately bird. 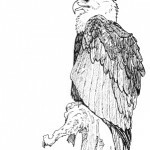 Full color drawing of a white headed eagle. 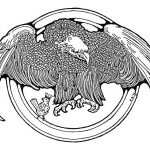 Black and white vintage eagle illustration. A bald eagle is ready to take flight. 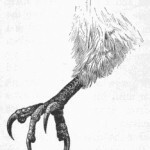 Vintage drawing of an eagle’s foot. 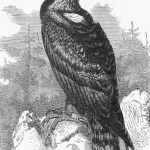 An eagle stands guard over its nest in this vintage magazine image. A fierce eagle pays his respects to the wren, King of the Birds.